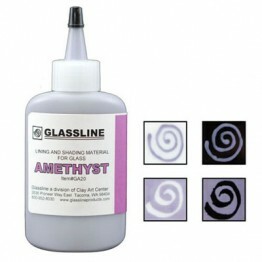 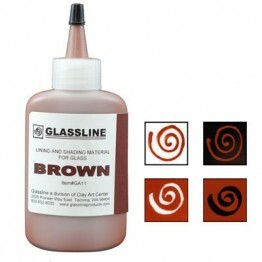 Glassline Pens are used as a lining and shading material for glass. They're simple in design, easy to use, and can be thinned with water. 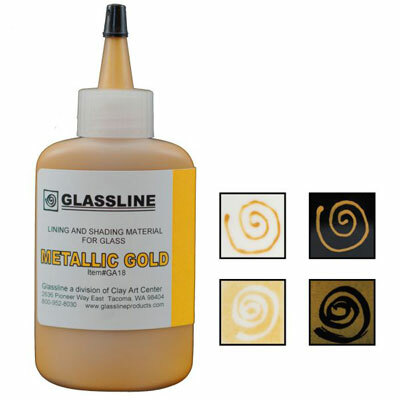 A metal tip set is recommended for fine line drawings on glass. 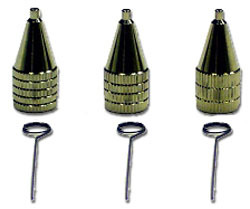 The Tip Set consists of one each of the following size tips; fine, medium, and bold. 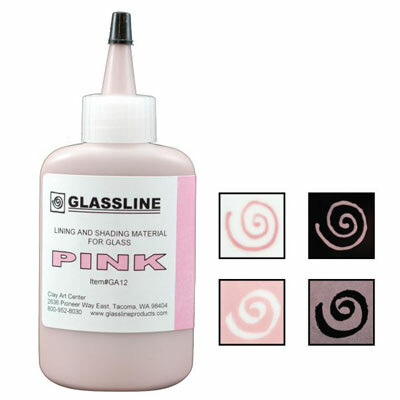 These tips are placed on the applicator bottle and used to achieve a variety of line widths. 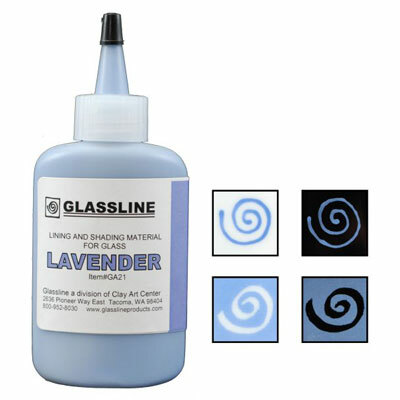 Glassline colours can be applied between multiple layers of glass or on the top surface for a complex dimensional look. 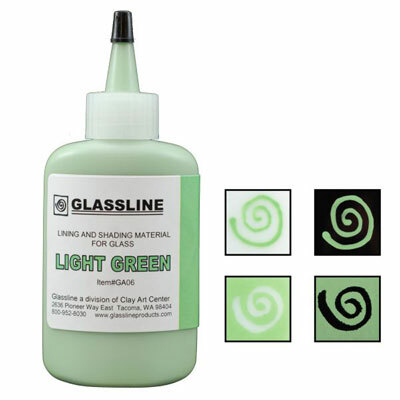 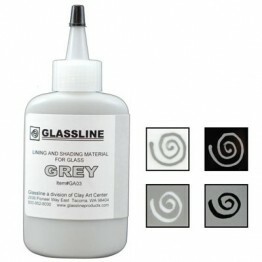 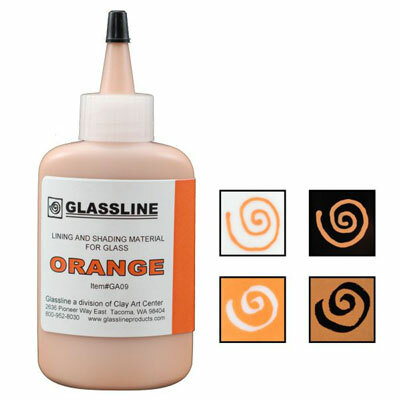 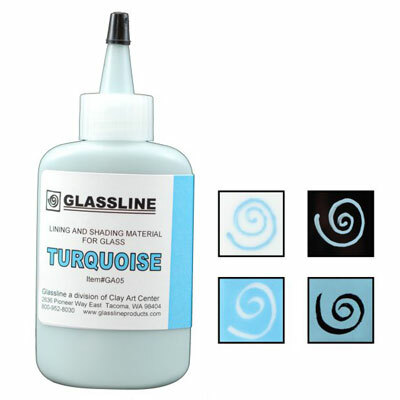 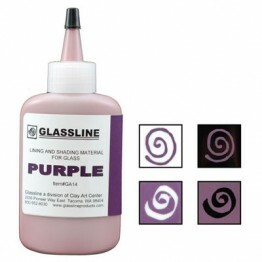 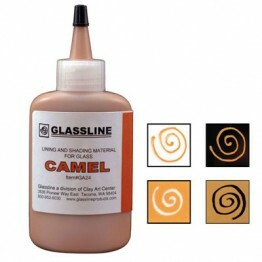 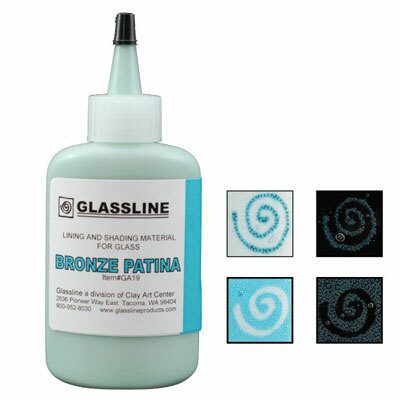 Glassline colours may also be sprayed to achieve subtle, shading variations on glass. 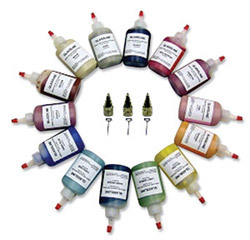 Glassline Pen colours are compatible with most types of glass from float to 90 and 96 COE. For best results "tack fuse" individual sheets of glass before stacking your full fuse. Glassline colours are best fired to 1500 degrees F., but may be fired lower or higher depending upon desired results. 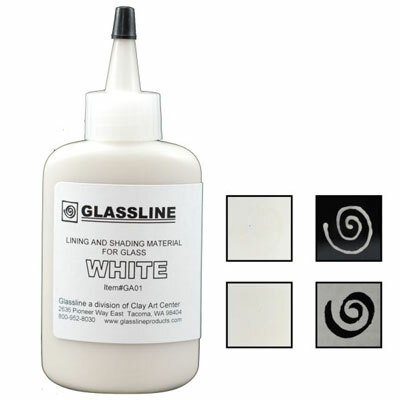 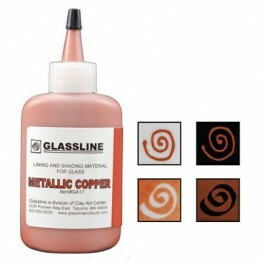 Glassline products are lead-free and food safe when fired. Comes in 2oz bottles.